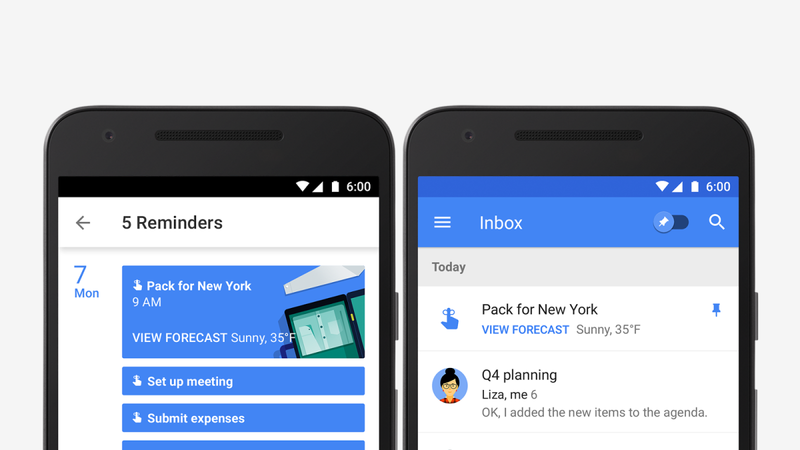 Google Calendar is getting a big feature update today: Reminders. It means Calendar can now nag you until you complete a task. Reminders – available now on Android and iOS – are set to recur daily until you dismiss them permanently. They’ll show up at the top of your Calendar list each day along with an alert. Of course, you could already simply create a calendar event to remind you to go to the bank or call a doctor. However, if you forget to do that, the event would then simply disappear into the void of forgotten memories. Reminders will be much more useful for making sure you get things done. This is Google we’re talking about, so naturally it integrates into the company’s other platforms as well. It can pull in phone numbers and addresses from your contacts, and reminders you create in other apps – Inbox, Keep and Google Now – will automatically be added to your calendar. Along the same lines, having all your reminders on Calendar means you can keep track of everything you have to do in a single app. It’s somewhat surprising it’s taken this long in the first place, given Google’s penchant for interweaving its apps’ features. The feature is rolling out this week for Android and iOS users. For those of us who still manage our calendars online, Google says it’s working on bringing Reminders to the Web soon.